What is A/B Testing and Why Should You Care about It? Those new to online advertising, whether it is a website, e-commerce store, or service, sometimes oversimplify the purpose of advertising as being nothing more than “exposure”. But advertising, for online professionals, is far more than simple exposure. In the world of online ads every little change in a banner design is a calculated bet, with the intention to increase conversions and income. Exposure plays a role in that, but exposure alone is simply a strategy and not the end goal. I always strive to provide our clients with the best solutions, and educate them in terms of the best ad design practices. With my help they reach the end goal of displaying to most effective display ads possible. One of the hottest topics related to advertising in the last couple of years is “return on investment” (ROI), some call it cost of acquisition, but this term is usually used only when it comes to online advertising with the purpose of gaining users for an app or subscription service. In general both of them are hardly a new concept—yet they are the two most commonly thrown-around buzzwords in the industry today. The majority of advertising budgets around the web are spent with one goal only: to increase the bottom line. Advertising does not increase the performance of a product, its efficacy, its availability, or lower its production cost; its goal is, very simply, to ensure that more people buy/use it. Advertising that doesn’t maximize ROI (or worse, has no effect on sales at all) is entirely without purpose. Savvy advertisers won’t settle for any increase, either; they want to ensure that they are getting the maximum bang for their buck. Experienced and inexperienced marketers alike use a number of methods to attempt to maximize online ad ROI, including targeting specific demographics (i.e. marketing in certain venues, utilizing re-targeting, and so forth), search engine optimization (SEO), and following ad-type trends (images, ad word-type text, etc.). However, the online marketing environment is one that is evolving at a breakneck pace, and those who are true marketing professionals understand that focus group testing is perhaps the only assurance that the ads being run are effective. Online display advertising is such a quickly evolving field because consumers are constantly reevaluating and revising the way they interact with display advertisements. It’s a fast paced environment, one evidence of this is related to the development banner blindness among users (the ability of the viewer to simply not process the information they deem irrelevant, like old traditional advertisement banners). The chronic race for the attention of potential online consumers has led to perhaps the most competitive advertising environment in the history of the business world. The result is an ever-changing ad landscape, which requires those advertising and those seeking monetization alike to reevaluate their methods for engaging content consumers and product purchasers on a regular basis. Simply following trends is destined to leave those who do so in the dust when it comes to maximum returns. Testing is the only sound method of ensuring a toe-hold in the market, and A/B testing is the best method for those who want to ensure that their ads are not only effective, but maximally so. The most effective form of testing whether or not a particular advertisement is suitable for one’s online marketing purpose is known as “A/B testing.” The term A/B testing predates online marketing significantly; it refers simply to a form of scientific evaluation where two versions of the same item or concept are compared to one another in terms of their efficacy. It’s also referred to as split testing or controlled testing. 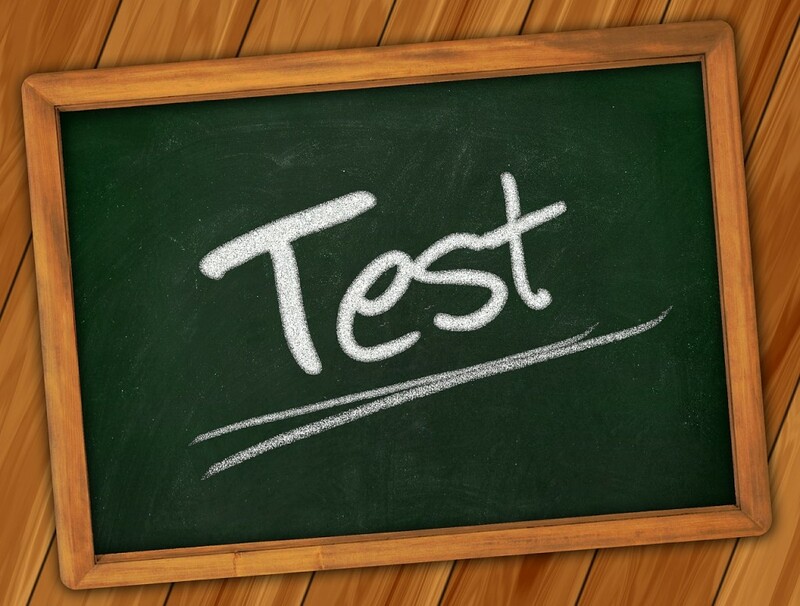 Controlled testing refers to a group being the “control” group—that is, one group of participants experiences the a basic version of what is being tested while another experiences a potential enhancement to see which version is more effective. In online advertising, A/B testing specifically refers to testing the same information being shared with the audience in two different forms. For example, “A” could be a banner ad, while “B” might be a video ad. The two concepts need not be that different, however. “A” could be an in-image ad that requires a mouseover to view, while “B” could be an in-image ad which displays automatically, but allows the user to close it. Or, both could present in the same form, but incorporate different images or text in an attempt to entice the consumer to click on the same link. It’s important to note that A/B testing does not assume any difference in the target demographic. Successful A/B testing using the same demographics for the audience, while incorporating differences in the ads being tested. For example, if the ad is targeted toward “stay at home moms that frequent Pinterest” the participants might be two different groups, but both will represent “stay at home moms that frequent Pinterest,” rather than one group representing that demographic while the other represents “elderly men 64 to 78 years of age.” The “A” and “B” in A/B testing refer specifically to the variables in the advertisement itself. Why is A/B Testing a Multi-Million Dollar Industry? A/B testing has become the lifeblood of professional marketers because of its effectiveness in determining whether a certain ad works. Internet users are inundated with ads. The ads that viewers are exposed to are increasing exponentially—for example, between 2012 and 2013, viewed video ads alone increased by 74%. That says nothing about the increase in text and imaged based advertisements. This increase in advertising allows marketers to make two inferences: First, the competition is becoming ever more intense for advertisers. Second, even without taking competition into consideration, consumers will become more discriminating about ads. This means that advertisers (and those using advertising to monetize their sites) need to ensure not only that the types of ads they use are up to date in terms of trends, but that they outperform similar advertising strategies. Truly effective A/B testing requires the resources of an organization that has conducted these tests extensively in the past. At imonomy we specialize in providing in-image ads (and accompanying images) to publishers, through our partnerships with advertisers. Supplying effective ads that provide our clients—whether they are bloggers, advertisers, or other online businesses—with a maximized return on investment is our primary goal. To that end, we are able to devote our resources to refining tools like A/B advertising that ensure not only a return, but the best return on investment possible. It’s in our client’s best interest that we do so, and they can trust that we’ll do so because it’s also in our own best interest. Our goals are closely aligned with those of our clients, and results are our highest priority. We use A/B testing all the time and we couldn’t run a successful business without it, our information and decisions can’t be based on assumptions, and therefore these tests are very important to assure that we are at the top of our game when it comes to displaying in-image ads!